-- You've Written Your Book, You've Gotten it Published. Now what? -- How to Buzz Your Book! -- Twitter, Tagged and Ning - You're It! I just completed a sweep of conferences this past November. I taught my Internet course in several states and for many different authors, and the same issue kept popping up: I would have gotten on a long time ago but the Internet confuses me, I just don't know where to start. If this is what you feel like, take heart! This week I've broken Internet marketing down into some very simple steps. The idea is to just get started, and I hope this article will help get you there. Sourcebooks has slated Red Hot Internet Publicity for a Sept '09 launch! Would you like to be in Red Hot Internet Publicity? If so, let me know. I'd love to get an endorsement (only if you've read the prior edition), or if you have a stunning before and after web site snap shot I'd love to include that. By "before and after," I mean a site that went from so-so to fantastic after a web site redo or overhaul. I have a list of things I need for the book and I'd love to have you be a part of it, so email me at info@amarketingexpert.com. Any blurbs used will be featured either on the cover or in the book! Yeah, I'm pretty darned excited. And even though things look bleak on the economic front, now is NOT the time to stop marketing your book. We even have programs designed with your budgetary needs in mind, learn more below! From us to you we, as always, wish you publishing success. Thanks for reading and being a part of the AME family! Penny, Paula, Susan, Lauren, Alex, Earnest and everyone at Author Marketing Experts, Inc.
P.S. Check out our blog! When targeting an audience online, it's important to know how and why they use the Internet. On the 'Net, Gen X and Y moms are very different, according to a study published in MarketingCharts. Gen Y Moms spend more time reading blogs, participating in an online community of moms, and creating and sharing their own videos. Meanwhile, Gen X prefers to shop online and upload photos. Learn more about the generational divide. In as much as I've taught Internet marketing and publicity classes, the idea of marketing yourself online is still very confusing to a lot of people. Let's face it; our company has a department dedicated to this. Why? Because stuff changes all the time on the Internet; if we didn't have a dedicated department researching this and reading all the "geek stuff," we'd never be able to keep up. But for right now I want to give you the bottom line basics - because at the end of the day, we all need to start somewhere, and the best place to start is online. · Blog "in character" - readers love this! · Develop your next story on your blog: you can ask for reader feedback on story direction, characters, etc. · Talk about the elephant in the room: if there's a looming issue in your market, why not offer your insight on your blog? Feedback and blog comments: if you aren't getting people commenting on your blog, don't despair, it takes a while to get folks commenting and offering feedback, but the more you can tap into issues your reader cares about, the more comments you'll see popping up on your blog. · You don't get paid for this syndication. This is always the first question I get when I talk to authors about syndicating their articles, book excerpts, or tip sheets. You post it online for others to use and promote you, what could be better? · Your articles need to be helpful, not self-promotional. The more helpful they are, the more likely they are to be used. Yes, you can mention your book but my recommendation is to keep any and all promotion of it to your byline. · Article titles are important. Remember that the title of your article must be descriptive, don't make people guess what you've written about. If you do, you'll find your pieces aren't as popular as you'd like them to be. · Articles should be a minimum of 500 words, a maximum of 2,000. Generally the most popular pieces are around 1,000 words. Don't forget your byline and web site address. Also, and very important, get those articles edited before they go out on the 'Net. Once you send them out, you can never get them back. Participate: when it comes to online promotion, it's really about participating. Think of the Internet as one big cocktail party. Go strike up a conversation with someone who you'd like to get to know better. Here's a great way to do that. First, go to Technorati.com and find the top five blogs in your market, then watch them for a week or so and when you're comfortable with what they're talking about and the angle of their message, start posting comments and offering your own insight into their postings. Bloggers love comments and by participating you're doing two things: you're doing some virtual networking (aka cyber-schmoozing) and you're promoting yourself via the link back to your site that's part of your post every time you comment. Conduct your own blog tour: after you've done some virtual networking and gotten to know some folks in your industry, you'll want to contact them to see about guest blogging opportunities. Guest blogging is pretty simple, you post an article on a site (sometimes it's also a Q&A) and you respond to comments that come in during that day or week that you're guest blogging. Be ready to host a blog tour of your own and unless the content is really off-topic from your site, I recommend that you consider it. Blog carnivals: if you haven't participated in a blog carnival and you've been blogging for a while, then head on over to http://blogcarnival.com and get started. Honestly, it's super easy. Just find a category/topic that you can speak to or have blogged on and submit those blogs for consideration. It's a great way to virtually network and publish more content online. Help promote the good stuff: do you get Google alerts on yourself? If you don't, you should, and here's why: how else will you know what people are saying about you online? Google alerts is a simple way to monitor the cyber-chatter and get in touch with folks who review your book or feature you on their site. You can also go to Technorati.com, plug in your name, company name or title of your book and see what you pull up, then you can subscribe to the syndication feed of the search (just hit the RSS button and it'll automatically subscribe you to that feed). Once you have your feeds all ready to go you'll want to promote all the good stuff. How can you do that? 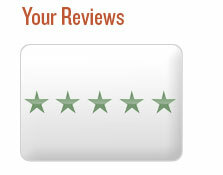 Well first off, offer a cyber-thank you to whoever mentioned you, reviewed your book or featured you on their site. Next, link to their site from your blog and finally, go to a few social bookmarking sites and bookmark these postings for enhanced exposure. Here's how you do that: go to either Digg.com, Stumbledupon.com, or Delicious.com and create accounts (this takes just a few minutes). Then follow the instructions to bookmark a blog post or page on the site that's featured you. This will help drive interest (and possibly traffic) to the site (which site owners will love you for) because you're placing it in a public bookmarking system. There's a lot more you can do online, the possibilities are really endless - but what I've found is that the confused mind doesn't take action, so the simpler you keep it, the more you'll do. If only one thing on this list appeals to you, that's great. Keep in mind, doing one more thing this week than you did last week keeps you moving forward and helps you continue to create marketing momentum for your book! ReZoom targets the Baby Boom generation, but describes its focus as redefining life for an 'ageless generation.' In other words, if you're not ready to become a member of AARP, ReZoom is for you. Issues and topics include living well, being well, traveling well, investing well and doing charitable work through A Better World, which has awarded $20,000 to 20 charitable organizations. ReZoom.com went live in 2006 as a digital media and entertainment company that offered an online community for the generation entering the "center of their lives and new challenges," which include second and third careers, health and wellness and caring for aging parents. The site also covers entertainment, and music, via ReZoom radio. Readers can also become members of the ReZoom community, modeled on the concept of an online coffeehouse, and have their own personal page with features such as calendars, photos, an interactive forum and more. The magazine - a reflection of the website - was launched in Feb. 2007 with a circulation of 500,000. Story ideas are welcome if they are relevant to the issues facing people in this stage of life. These free teleclasses from AME-University may be just the thing to get your book marketing savvy ramped up! Red Hot Web 2.0: Tricks to Sell More Books! When: Thursday, Nov. 6, 4 p.m. - 5 p.m.
· Creating "feeder" sites that feed traffic into your web site! · How to get more web site traffic right away! · Got blog? The one thing you should NEVER do with your blog! When: Friday, Nov. 7, 4 p.m. - 5 p.m.
To sign up or learn more about these classes send an email to author@amarketingexpert.com. The AME website has a complete class listing for handy reference: http://www.amarketingexpert.com/iclasses.html. Missed a class? Here's an easy way to catch up on past classes, go to: http://bookmkr.audioacrobat.com/download/49713933-a2ef-a9f6-4f98-376f0809e90b.mp3. As with static websites, the success of a blog depends on attracting a steady stream of new and return traffic. It is just that the tools for blog promotion are slightly different, a bit more diverse and on the whole much more effective. Blogs are designed with interactivity and social networking ability built in. They are ideal both for developing relationships and marketing your brand. However, this doesn't mean you should neglect standard promotion techniques in favor of blog only techniques. In fact, traditional marketing activities can become even more potent with a blog due to its nature. For example, you will still want to utilize your email list by incorporating an autoresponder system. Ask readers to subscribe, and let them know when you post a new article just as you would with a new feature or product on a static website. Of course, if you are a prolific blogger and post every day, you'll only want to alert them when you've published something extra special or compile a list of new posts and descriptions and send it out once a week. You don't want to overwhelm and annoy, but inform and share. However, do make sure you ask them to subscribe at every opportunity - on your sidebar, at the end of every post, on every page, and perhaps with pop-ups. You don't want to neglect keywords either. Choosing titles with strong keywords and using key phrases within your post is important to attracting new traffic through search engines. Part 2 will discuss how you accomplish this. These Books Really Talk: The Santa Monica Library really knows how to make books come alive. They let patrons check out "living books" on subjects such as nudism, Buddhism and foodism. For up to 30 minutes, these real people were available to share their expertise on their topic. What a novel idea! Saving Us From Ourselves? The folks at Google are having fun with 'Mail Googles,' which are designed to stop people from sending out emotional emails that could later hurt them - personally and/or professionally. The program can be scheduled for evenings over the weekend and requires users to answer some simple math problems to ensure they are in the right state of mind - before hitting that send button. Check it out. The Newspaper, Sans Paper: A company called Plastic Logic is working to alleviate the problems associated with reading newspapers - awkward size, ink that rubs off, etc. - with an all-plastic paper. It's the size of a table mat and weighs about as much as the average magazine. Will it take off? See it for yourself. Happy News: Times may be tough, but the number of books about happiness have multiplied. The reason: there are scientific findings to document happiness. The LA Times took a look at some of the happy titles that came out this fall. The impact of an Oprah Winfrey endorsement can't be underestimated: she has demonstrated an ability to sell (and sell out) a lot of products that have earned her much sought after endorsement. 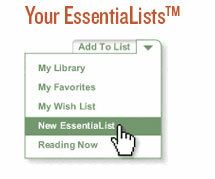 And last week Oprah turned her endorsement to Amazon's e-book reader Kindle. Given the device's $359 pricetag, it's an investment that might be tough for many to make during these uncertain financial times, even with the $50 off coupon (OPRAHWINFREY). But clearly Oprah has put the Kindle in the spotlight and for authors, this means one thing: publish a Kindle version of your book. 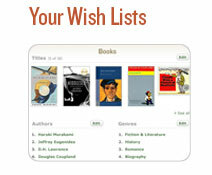 This is a great way to be noticed by a devoted cadre of e-book readers. In fact, there are a number of groups and blogs devoted to the Kindle, sharing tips, asking questions and talking about books. Take advantage of this Kindle book buzz by making your Kindle title stand out - offer it for free for a certain period of time - this tactic is guaranteed to get you noticed by the Kindle enthusiasts who are always looking for the next book. 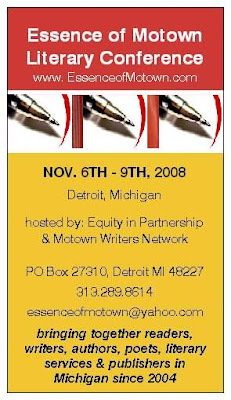 Or, consider offering a report or excerpt for free that can introduce your work to this group. If they like it, they will talk it up! You've Written Your Book, You've Gotten it Published. Now what? Have you ever wondered why some books sell and others don't? The topic was interesting, the story fascinating, the characters mesmerizing - but no one is buying it. When Oprah chooses a book for her book club, it begins to fly off the shelves, everyone wants to read it, everyone is interested. It's proof that Publicity sells! Once your book is published, the really tough work of marketing your product begins. Do you hire a Public Relations firm or "shop" yourself? Should you have a press kit, or better yet, what is a press kit? Do I write my own press releases or let someone else? How do I know what television, radio or newspapers would be interested in interviewing me, and how do I let them know I'm available? If I'm lucky enough to get on television, how do I know what to say and how to say it, where to look, what to wear, etc. You've written the book, possibly even self-published, you can market yourself and save a ton of money - if you know how to do it. Learning how to put together a press kit, contacting the media, handling yourself in an interview or knowing what your options are if you decide to hire someone to do your publicity are all vitally important to your success. Marketing is the key! For More information or to schedule a coaching session just email me at lholka@live.com or call (602) 509-6468. ~Tip offered by Media Veteran Laura Holka, who is the producer of the Pat McMahon Show & a Media Consultant. She can be reached at http://www.arizonasown.com or email lholka@live.com. A recent segment on The Publishing Insiders focused on book reviews - what authors should know and what reviewers have to say - and included guest Simon Barrett of Blogger News Network. Read what Simon has to say about the show and book reviewing in general! Employing Organic SEO techniques means your site gets listed with the search engines and your audience finds you. Here's an SEO tip that every author should be aware of: Load Time. Google, specifically, will ding your search ranking if your home page takes too long to load. So, optimize your images. Web images and photographs should be no more than 72 ppi (pixels per inch). If you do not own image-manipulating software like PhotoShop for instance, you can use the tool at www.WebResizer.com. As an example, you can take a 356 KB image and downsize it to 23 KB without losing any perceptible resolution, and it will load much more quickly. Tip offered by Jeniffer Thompson, author of Web Site WOW, Turn Your Web Site Into Your Most Powerful Marketing Tool, http://www.monkeycmedia.com/web_site_WOW.php. Thompson is also the President of Monkey C Media, a full-service design house offering author web sites, book cover design, book teaser videos and much more, www.monkeycmedia.com. Be in the know and hear what the publishing insiders: Penny Sansevieri, CEO of Author Marketing Experts, Inc., and select guests each week have to offer in terms of tips and insights into the industry! Listen here. Looking for inexpensive ways to promote your book? We've just developed and launched an exciting series of budget-friendly programs that still pack a powerful punch! Think you can't market your book in a tough economy? Think again - we've got the answer! Email us for more details: info@amarketingexpert.com. I just published my debut Speculative Spiritual Fantasy, Ivory Joins the Reaping World Wind or Who Caused the Best End of Earth Ever? In order to promote this book, I have designed and produced several short teaser videos. They are posted on several video web sites including YouTube, GodTube, JesusTube, Forumpwr, woopie, etc. I have had so much fun and delight doing these videos (voices, sound effects, artwork, animation). These productions are a launching pad for an eventual motion picture version of the novel. I recommend more authors use this route of promotion for their books. Tip submitted by: Hollis Williams, author of Ivory Joins the Reaping World Wind or Who Caused the Best End of Earth Ever? Visit http://reapingworldwind.com/. How to Buzz Your Book! We've designed our products with your success in mind! Regardless of where you are in your publishing journey, we've got a product that will suit your needs. Check out our books, special reports, and our audio programs, all designed to help you reach publishing success! Twitter, Tagged and Ning - You're It! Three social networking sites - Twitter, Tagged and Ning - were the fastest growing sites in the US according to a study reported in Marketing Charts. Not a part of the scene yet? You can click on the links above to learn about these highly popular (and very addictive) sites. If you're still not convinced that the Virtual Author Tour (TM) pays off, consider these examples: A social networking page we built on Squidoo for one title we worked with, Rules for Renegades, became so successful it actually outranked her books page on Amazon. And for another book, our video tour gave Alex Webster and the Gods 3,500 new incoming links to his website; at the start of the tour he had practically no visitors to his site. To see a price list or schedule a free consultation, send your e-mail to penny@amarketingexpert.com with the subject line "Author Services Info." You can also visit our Web site at www.amarketingexpert.com. Last Wednesday, I finished up the series entitled Internet Marketing: How to Tell When to Start Spending Money to Make Money Online. However, there was so much more to say so this week I'll be addressing some issues that readers raised. To recap, as the title suggests, the series addressed when new and/or cash-strapped internet marketers should consider spending money to make money online. As a freelance writer and self-publisher of ebooks, I used my business as a sort of mini case study; an example, if you will. 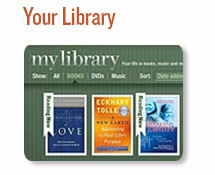 One of the things readers wanted to know was where I'd advertised my ebooks, which is the issue I'll address today. 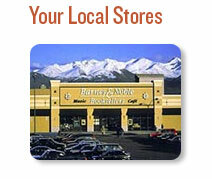 Note: The outlets listed below were chosen primarily because of cost and popularity. In tomorrow's post, I'll talk more specifically about how to find affordable paid outlets in your niche. My niche is freelance writing, so I simply went to the popular blogs and websites I read on a regular basis that offered advertising. Following are five outlets I've used – or am thinking about using. If you've published or are thinking about publishing an ebook of interest to freelance writers, bloggers and in some case internet marketers, the following outlets might work for you. ChrisBlogging.com: At only $25, I did a review plug for this site. This is different from an ad in that you write your own "article" plugging your product/service. The reason article is in quotation marks is because it's really a plug for your product, but is written in article form. This worked quite effectively. FYI, one of the reasons I like online advertising of this sort is that it stays live forever, unless the site goes offline. Hence, you get ongoing "coverage" for your one-time-spent ad dollars. Writing-World.com: Again, a $25 ad. This ad will start to run in November and it'll be live for three months. It'll appear on the Author's Bookshelf page. The site gets a huge amount of traffic in its niche, so I'm anxious to see how this pans out. IdeaMarketers.com: This is an article directory site, and I contribute to it regularly (3-5 times a week). In addition to contributing articles, I also advertise on the front page of the site for a mere $1 per week. Yes, that's right, $1 per week. The site accepts ads on a bid system. The category I advertise in doesn't get many ads, so for a low price, I'm able to get front page placement for mere pennies. JohnChow.com: I haven't yet placed an ad here yet because this is getting to what I call the upper-tier of advertising. I'm vascillating between the $250/month stripe ad at the top of the blog, or the $240 month Feature Site Sponsorship ad that appears on the right sidebar of the page. Entrepreneurs-Journey.com: This is the other top-tier site I'm targeting to advertise on in the near future. The two ad slots I'm looking at are the $150/month text link package and the $200 125×125 box banner ad. What's the holdup in placing ads on the last two sites mentioned? One thing primarily: I want to spread my ads across as many smaller, less expensive sites as I can first. For what it would cost to place one ad on one of the more expensive sites, I can place ads on 5 or more of the smaller sites. In advertising, this is known as going wide instead of deep. Once I've penetrated the market widely, then I can go deep with the more expensive advertising. I've put together a six-month plan and have targeted about a dozen sites I want to place ads on. The reason I like this advertising wide instead of deep first is because I can reach a larger audience. While it may take longer to garner as many sales, it's a less risky marketing plan because it doesn't put all of my eggs in one basket, so to speak. For example, what if I spent $250 on an ad and didn't make my money back? This question leads me to the final point I want to make here today, which is, "How do you tell if an ad is successful?" This is quite easy. An ad is successful if you make your money back. So far, I've made my money back on both ads I've placed and fully expect to on Writing-World.com, especially as it will run for three months. I'll talk more about this tomorrow in my discussion on how to find affordable places to advertise in your niche. FYI, if you know of a highly trafficked site that targets freelance writers, bloggers and interent marekters AND it offers affordable advertising (in line with the prices quoted here), I'd love to know about them. Copyright © 2008 Blogging Tips. This Feed is for personal non-commercial use only. If you are not reading this material in your news aggregator, the site you are looking at is guilty of copyright infringement. Please contact us so we can take legal action immediately. Free promotional audio seminars: Listen anytime you want! There are only two days left to register for the most important marketing event this year, eMarketing 8, Atlanta (eM8). eM8 features 30 outstanding speakers covering all aspects of your eMarketing program. eM8-Atlanta provides the forum for the very latest trends, best practices, processes and ideas that are transforming the future of marketing. This conference will give you practical ideas and tools for significantly improving your marketing programs. Focused sessions contain so much new content and cutting edge actionable ideas and processes you should bring your entire team. Enjoy a relaxed atmosphere, great networking, welcoming reception, terrific breaks, and some of the best leaders in the marketing arena. This conference provides a truly interactive forum. You cannot afford to miss this opportunity! If you are already registered then, I am looking forward to seeing you later this month, if not, I hope you will check out this event! on these stylish virtual shelves. Help others find the best products. Make lists for anything you can imagine: from Best Ofs to Top 10s to Must Haves. Share them on the site or with social networks like Facebook, Digg, Delicious and others! author appearances and other events at your favorite Barnes & Noble. 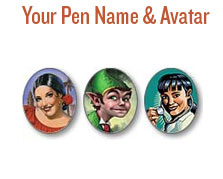 and choose an "avatar" from a fun assortment of colorful characters. Will Free Books Get You Hooked?